Windy City Mechanical, Inc. is proud to serve the Alsip community! 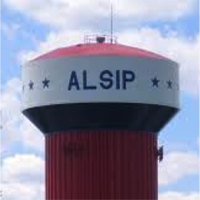 Located in Cook County, Illinois, Alsip is a Chicago suburb with a population of nearly 20,000 residents. This village was settled by German and Dutch farmers in the 1830s, and it was named after former business owner Frank Alsip. The community saw growth after the construction of the Tri-State Tollway here in 1959. Alsip is served by the Alsip-Hazelgreen-Oaklawn School District, and in terms of higher education, students can attend the local campus of Moraine Valley Community College. Alsip is also home to the Griffith Laboratories headquarters, and one of the two Coca-Cola bottling facilities in the Chicago area is located in the community. Alsip is home to several interesting attractions that both visitors and residents can enjoy. The Swap-O-Rama is a popular area flea market located in Melrose Park. Fun Time Square is a great family entertainment center in which kids can ride go-karts and play miniature golf. There are also numerous activities available here for adults, including Red Shoes Billiards, which is located in the Crawford Avenue Shopping Center, and Riddles Comedy Club. Alsip residents will enjoy four distinctive seasons throughout the year, making it necessary that they invest in both home heating and cooling systems. During the summer, temperatures can vary from the upper-70s to the low-90s in terms of temperature, but high humidity levels can make it seem even warmer. Without taking precautions to stay cool with an air conditioning system, heat-related illnesses could become a real possibility. Northeastern Illinois is also home to cold winters with frequent snowfall. Average high temperatures in January, the coldest month of the year, only reach the mid-20s, and these freezing conditions can make roadways hazardous. Likewise, this dangerously cold weather may cause home plumbing work to freeze, which could require an inconvenient and expensive repair, so it is recommended that homeowners have their systems checked by a qualified HVAC professional before the season begins.